Teacher in science and math turns towards entrepreneurship; through her research and experience in education finds STEM For Kids providing the right balance of STEM learning and hands-on engagement for children. 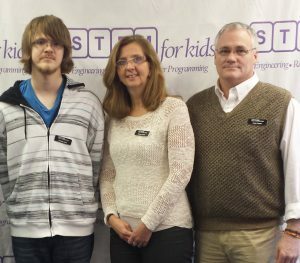 STEM For Kids, North Carolina – USA based organization announces the launch of STEM For Kids® programs in the state of Wisconsin. Donna Curtis, co-owner of the STEM For Kids Wisconsin Madison franchise with Gary Curtis, is an educator. She has taught STEM related subjects to children in grades K-8 for multiple years in both public and private settings as well as to college level students. Donna holds a bachelor’s degree in Elementary Education as well as a Master’s in Curriculum and Instruction of Mathematics K-14. Is this the right time to take the “plunge”? Should I franchise a business? “Through my own personal journey and my discussions with many potential entrepreneurs, I know that these are the most asked questions. “, says Moni Singh, Founder and CEO of STEM For Kids. Moni is a recognized Leader in STEM, recipient of many awards including the prestigious Triangle Business Journal Women in Business, Enterprising Women of the Year Honoree and a 40 under 40 Leader. “Whenever you believe you are ready to do something about your passion and interest is the right time. Franchising is a smart entrepreneurship opportunity. You get to own a business supported by the knowledge base, experience and operational processes of the franchisor”, Moni adds. “My experience has led me to understand the significance of teaching children from a young age to think creatively, work collaboratively and communicate effectively. Through research, I discovered the vast need in the world for students who are prepared to fill the ever expanding job market in science, technology, engineering and mathematics.”, says Donna. After her due diligence Donna concluded that STEM for Kids brings the two ideas together by providing a place for children to expand their understanding of the STEM fields while having fun and gaining exposure to real world application. “I am excited about bringing the world of hands-on STEM as camps, after-school and in school programs in our community”, she adds. “We are thrilled to have Donna and Gary join our franchise network … what a blessing for the students in southern Wisconsin” says Moni. For media enquiries contact Gary Curtis at 1(608)352 8330 or at gcurtis@stemforkids.net.